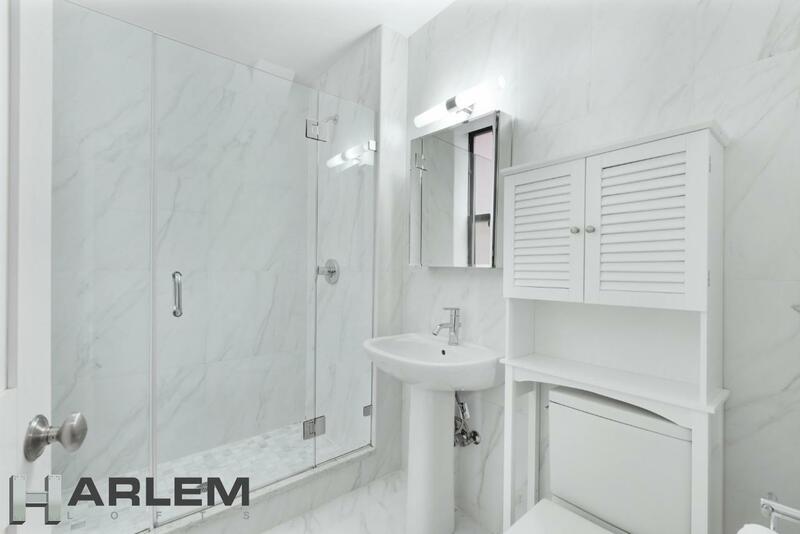 Welcome to beautiful Park Place, located at 42 West 120th St. directly in front of the incredible Marcus Garvey Park! 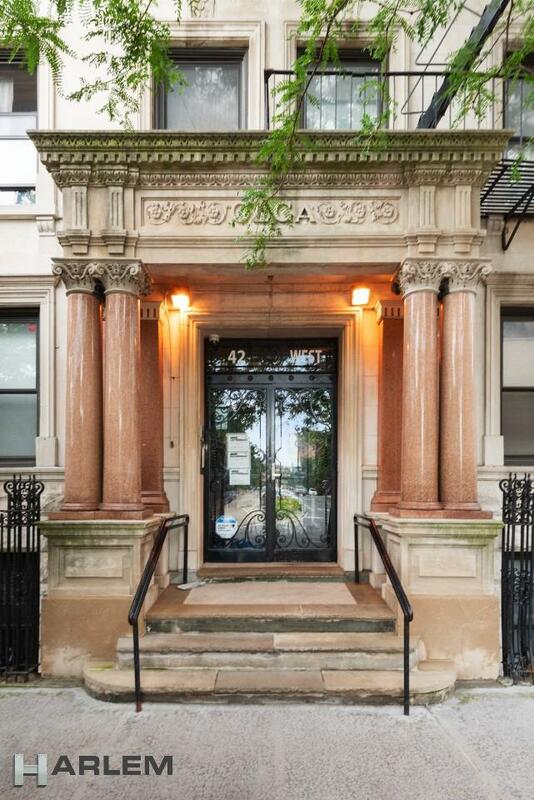 Designed and built in 1901 by the architect James W. Cole, this lovely building was tastefully renovated in 2014 to combine period detail in the common spaces, with fully updated condominium apartments, a storage room and gym, and a lovely garden. 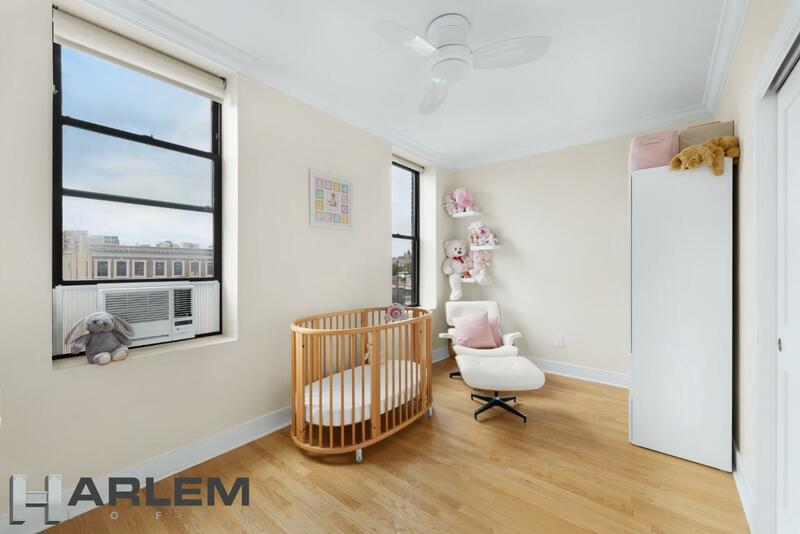 This elegant two (2) bedroom two (2) bathroom home which is in move-in condition is on the fifth floor of this elevator property has a wonderful sense of space and light. 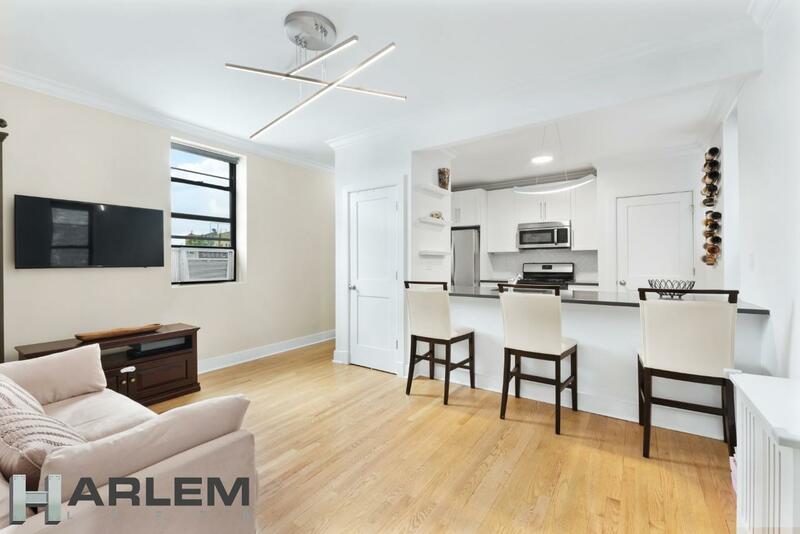 Unlike floors 1-4, the fifth floor at 42 w 120th rises above the height of adjacent buildings, and so provides direct sunlight and unobstructed views of the Park, including the newly renovated historic Harlem Fire Tower. 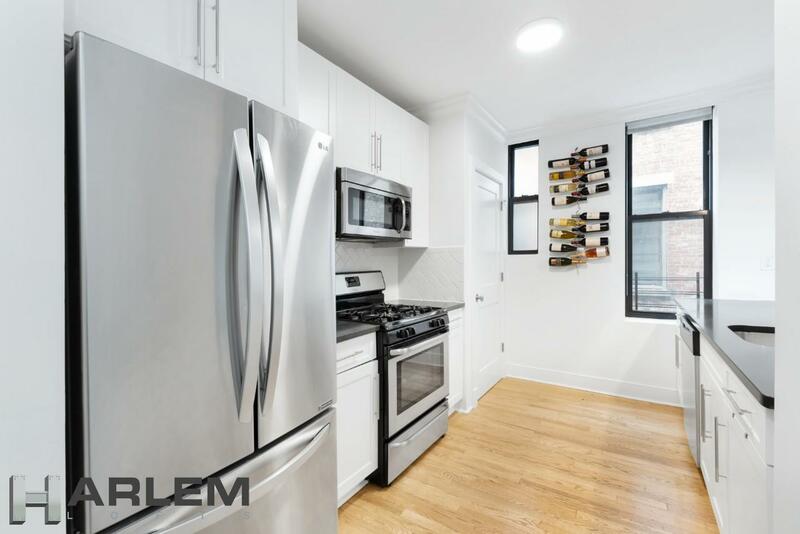 The apartment also boasts solid oak flooring, 10-foot ceilings and luxurious crown moulding throughout, and sleek modern renovations including an open kitchen with under-cabinet lighting and stainless-steel appliances and dishwasher, and two beautifully updated bespoke bathrooms. 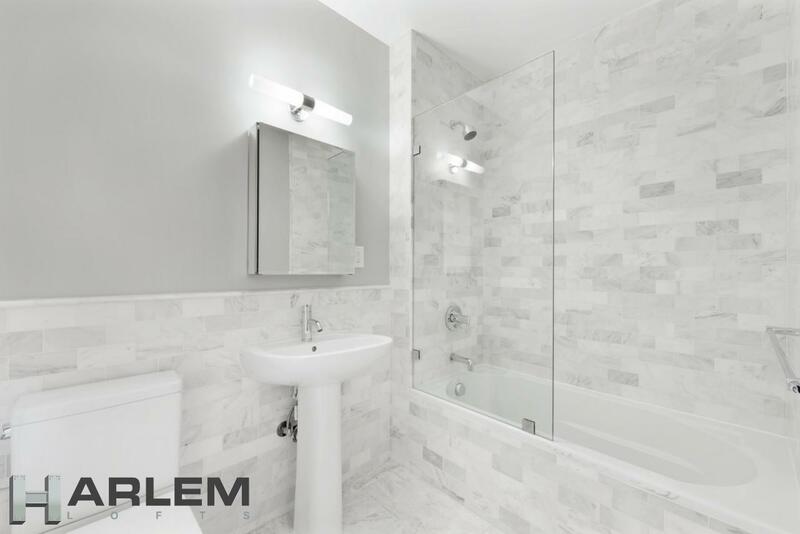 The main bath offers floor-to-ceiling marble tiling and a deep Kohler soaking tub, while the en-suite bath off the spacious Master bedroom features fine marble and a spacious shower area. 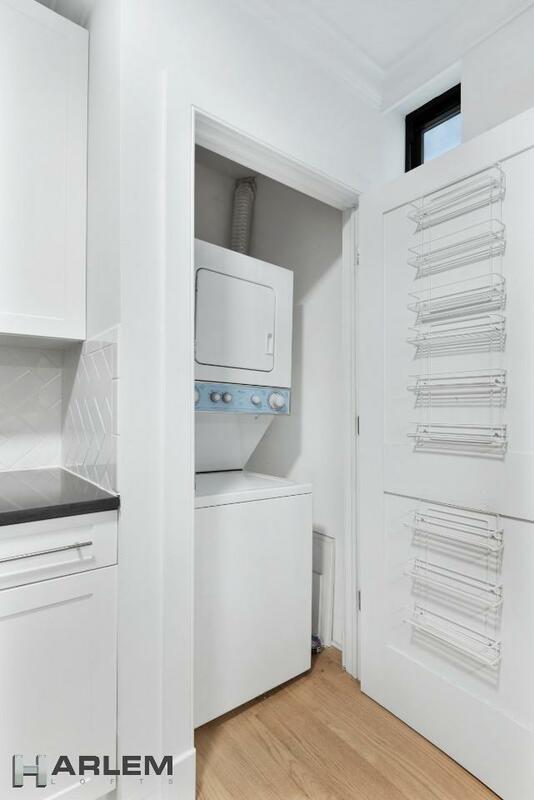 And for city life’s greatest convenience, this lovely home also includes an in-unit washer and dryer. 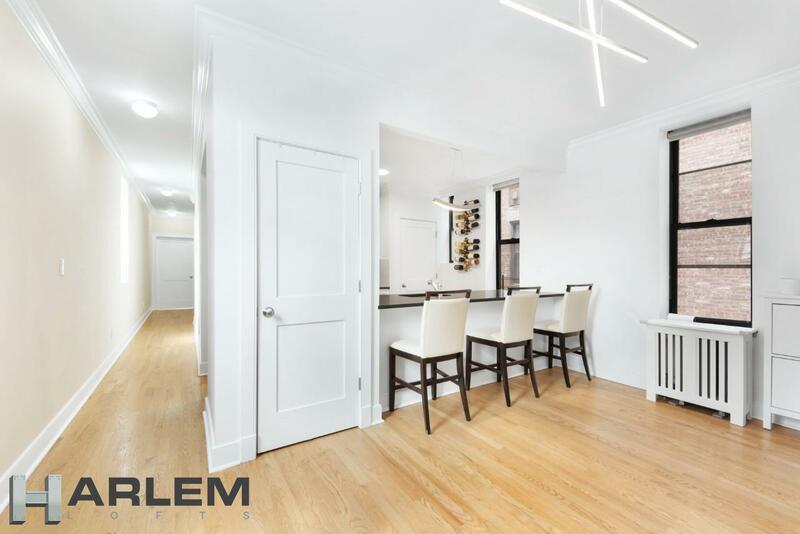 Located in the Mount Morris Historic District, this property’s neighborhood is in the heart of Harlem, steps away from vibrant life of the Apollo Theater as well as more recent additions to the neighborhood. Excellent restaurants a few steps away on Malcolm X Boulevard include Barawine, Il Café Latte, Harlem Shake, Red Rooster, Settepani, Corner Social, Amy Ruth’s and Sylvia’s, while Frederick Douglas Boulevard’s Restaurant Row is also within easy walking distance. Whole Foods at 125th Street is just a five-minute stroll and a number of other major retailers have moved into the area including Bed Bath and Beyond, Banana republic Outlet, and Fairway Market. 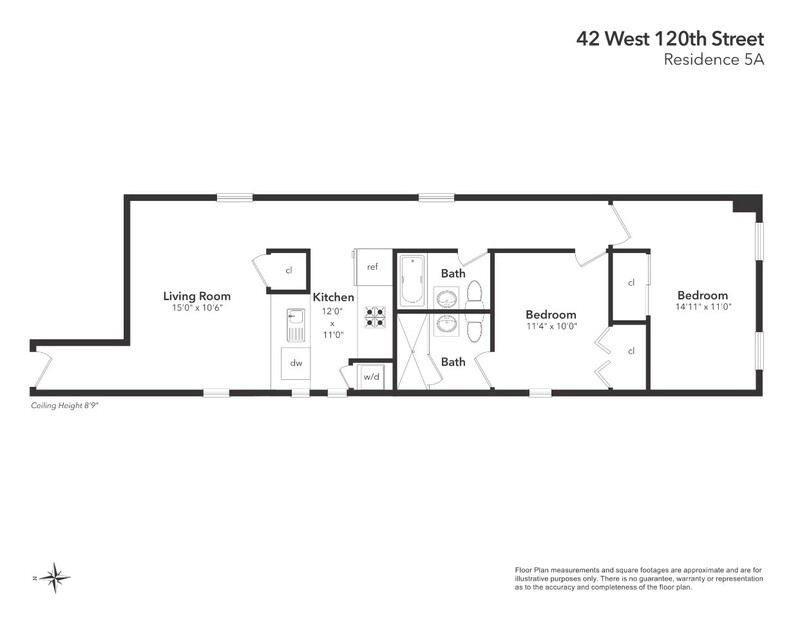 For convenient transportation, nearby trains are the 2, 3, 4, 5, and 6 subways and Metro North, while the M1, M102, and M103 buses are also within short walking distances, and there is even a Citibike station right in front of the building! 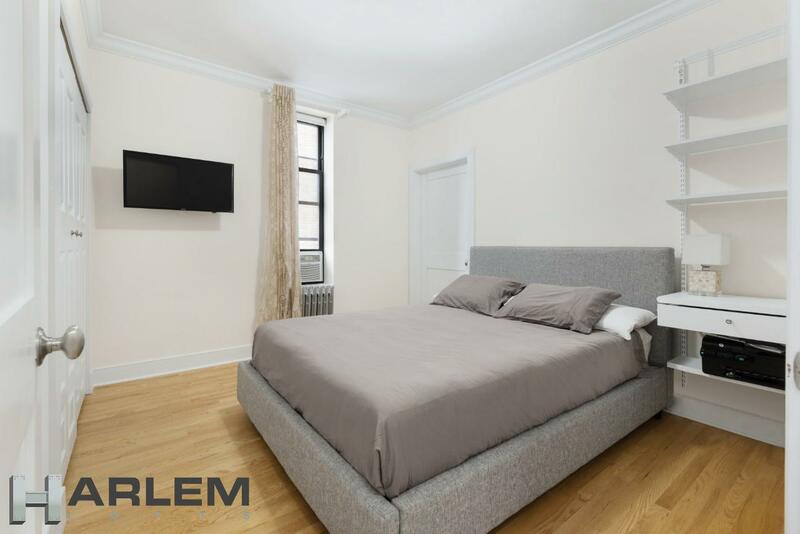 This condo apartment is a great option for a primary residence, a pied-a-terre, or as a rental.